How would you like to be forever a part of the Redcoats Complex? 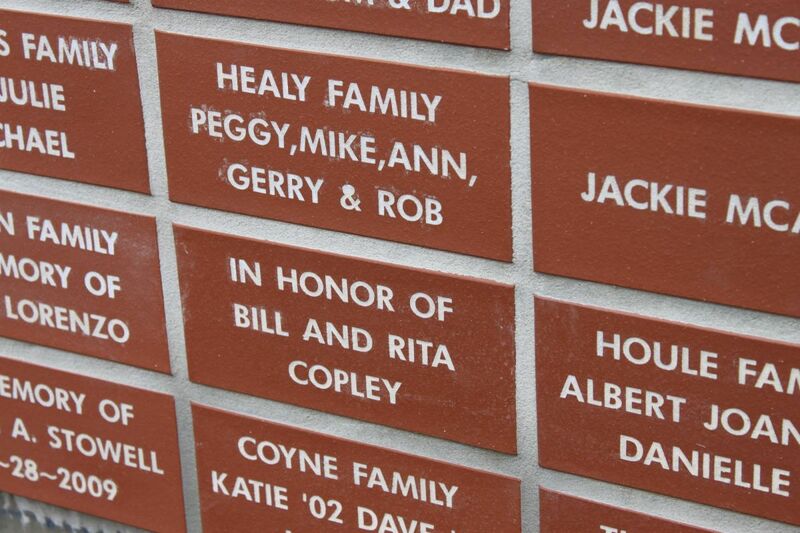 We are currently taking orders to have your name or personalized message engraved on a brick paver to be put on display at the complex. With your donations and support we aim to continuously improve the park, provide equipment upgrades, and sustain fields that are safe and up-to-date. We have both 4X8 and 8X8 brick pavers available. The 4X8 pavers will be sold at $50 per brick. This offer includes 3 lines of engraving, with 14 characters per line. The 8X8 pavers will be sold at $100 per brick. This offer includes 6 lines of engraving, with 14 characters per line. Each letter, space, number or punctuation takes up a single square. To access our order form, click here. Forms can be submitted by mail or in person at the City of Midland Parks and Recreation office, located at 4811 N Saginaw Road, during regular business hours. They can also be emailed to Jesse Stewart at the address below.